Canadian para-cyclists had a medal bonanza on Wednesday, the first day of road competition at the Paralympic Games in Rio de Janeiro, winning five medals in the time trial events, with one gold, one silver and three bronze. This brings the medal total for para-cycling to eight in total, with two more silvers and a bronze won earlier in the week on the track. 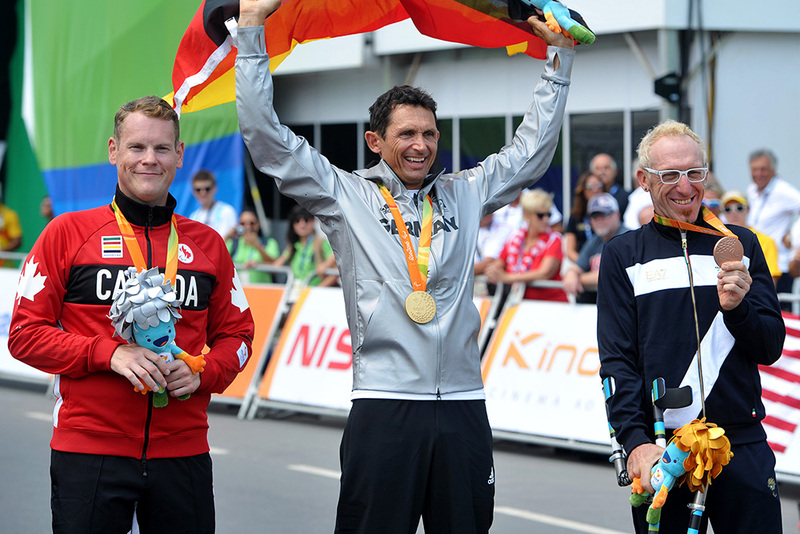 Tristen Chernove of Cranbrook, BC, won the first Canadian cycling gold medal of the Paralympics in the 20 kilometre Men's C2 race, finishing with a time of 27 minutes and 43.16 seconds. Colin Lynch of Ireland took the silver medal, 19.09 seconds back, with Liang Guihua of China winning bronze, 34.61 seconds behind. It is Chernove's third medal, after winning silver and bronze in track competition. "I felt pretty good and I enjoyed the whole race," said Chernove. "You only get these moments so often in life, and I wanted to have a positive outlook and be in the moment, and not let the anxieties or pressures get to me. That really happened today, and that made all the difference. I just wanted to have a great bike ride in a beautiful place." In the Men's C1 20 kilometre race, Ross Wilson of Edmonton won the silver medal with a time of 28 minutes and 47.34 seconds, 53.36 seconds behind Michael Teuber of Germany. Giancarlo Masini of Italy took the bronze medal. 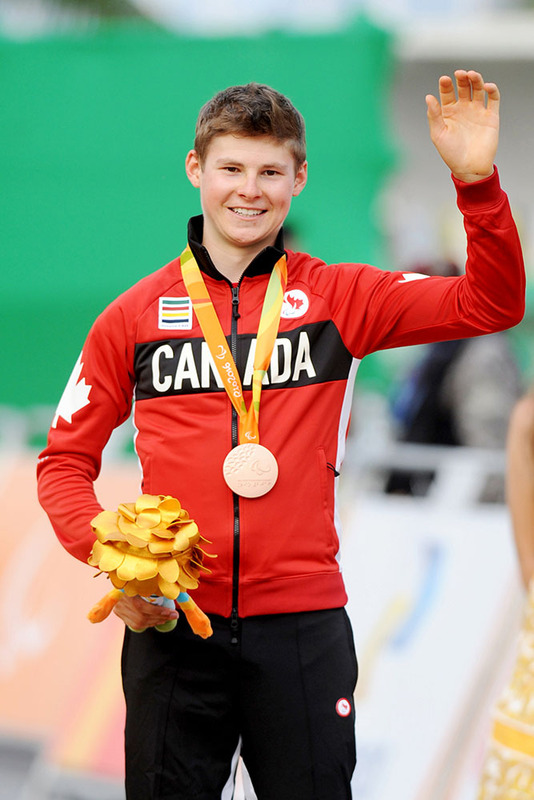 It is Wilson's second medal, after winning silver in the Individual Pursuit on the track. "I thought I did very well today and left everything out there," said Wilson. "I don't think I came back with anything left in me. That was probably the best outcome I could have hoped for, in terms of a time and a result. It would have been nice to go a little bit faster, but we just need to keep working at it, and we have another four years to work towards that gold medal." Charles Moreau of Victoriaville, Quebec, won the bronze medal in the Men's H3 competition, with a time of 29 minutes and 26.91 seconds for the 20 kilometre race. Moreau finished 0.9 seconds out of the silver medal, won by Walter Ablinger of Austria, with the gold medal going to Vittorio Podesta of Italy, in a time of 28 minutes and 19.45 seconds. "I'm very happy about third," said Moreau. 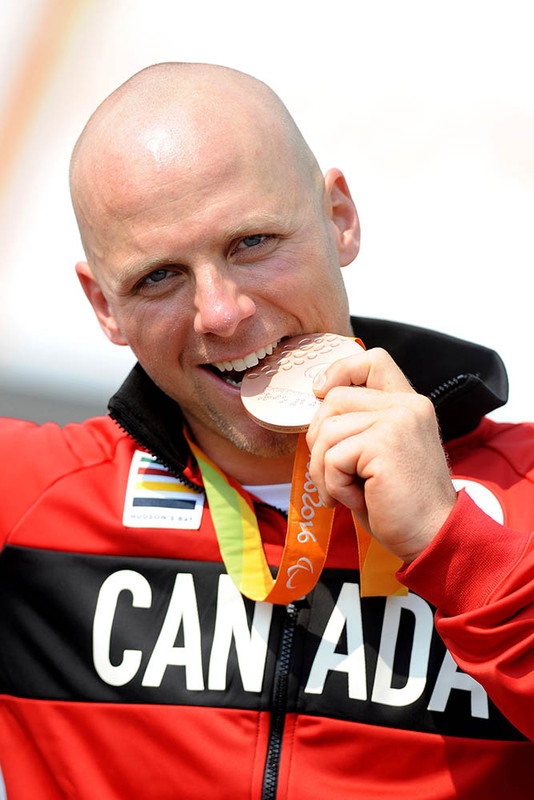 "It's my first Paralympic Games, and my first race of the Paralympics. I was aiming for a gold medal today and I got bronze. We are going to make some adjustments in the upcoming years [before Tokyo]. My arms have felt a little bit heavier in the last three days, so I was not able to put out the numbers that I usually put, but I got third, so I can't complain about that! I'll just try to do better for the road race and get another one for Canada." In the Men's C3 30 kilometre race, Michael Sametz of Calgary won the bronze medal with a time of 39 minutes and 41.28 seconds, 19.49 seconds behind gold medal winner Eoghan Clifford of Ireland. Masaki Fujita of Japan won the silver medal. "I did what I wanted to do today, which was race my absolute best," said Sametz. "And it was a podium, so that's good. It was tough, my heart rate was at the roof pretty much the whole time. This is my best event, so I expected of myself to be top five, but to be on the podium is great. I was watching the [event] tracker this morning and to see all the [Canadian] results coming in was great, and got me motivated." 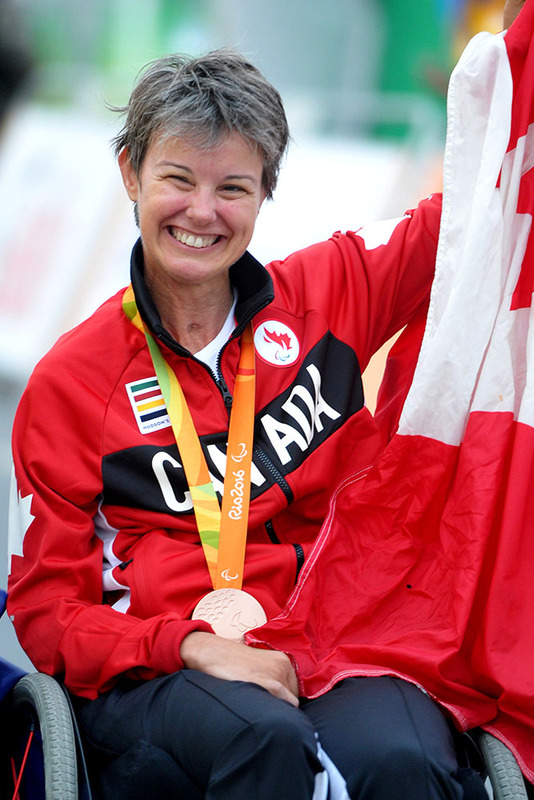 Canada's final medal of the day went to Shelley Gautier of Toronto, with a bronze medal in the combined Women's T1-T2 category for the 15 kilometre time trial. Gautier was the only T1 in the competition, racing against T2 rivals, and recorded a time of 26 minutes and 50.87 seconds. Gautier was 39.47 seconds behind gold medal winner Carol Cooke of Australia, with Jill Walsh of the United States taking the silver medal, 1.2 seconds faster than Gautier. "It's hard [being the only T1], but I came in third, so I think I did okay," said Gautier. "My goal was a medal and that's what I did, so I'm happy. I was hoping for a medal, but as a T1 rider I am more disabled than the T2's, so I could just do the best I could." In other Canadian results, Marie-Claude Molnar of Lemoyne, Quebec, was fifth in Women's C4 and Nicole Clermont (St-Denis-de-Brompton) eighth in Women's C5. Marie-Eve Croteau (Quebec City, Quebec) was sixth in the combined Women's T1-T2. The Women's Tandem team of Robbi Weldon (Thunder Bay, Ontario) and pilot Audrey Lemieux (Alma, Quebec) finished seventh and the team of Shawna Ryan (Saskatoon, Saskatchewan) and pilot Joanie Caron (Rimouski, Quebec) were 13th. The Men's tandem team of Daniel Chalifour (St-Therese, Quebec) and pilot Jean-Michel Lachance (Quebec City, Quebec) finished 15th. 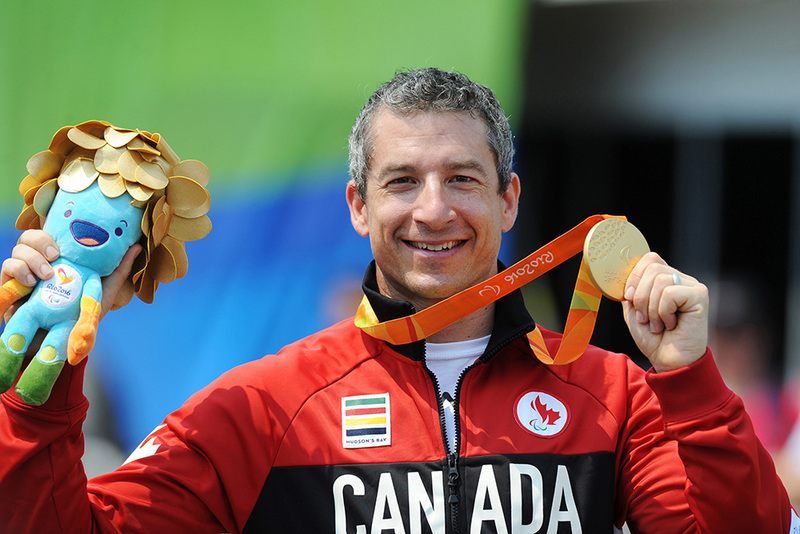 Jacques Landry, High Performance Director at Cycling Canada, commented, "Today was a great day for our program. We had targeted those medals acquired on the track and knew that we had some great medal chances in the time trial in all categories where we medalled today. We had decided a while ago to focus on more predictable events [Track and Time Trial] instead of the road races, and this direction has paid off. We've surpassed at this point our medal predictions, and have even surpassed our all time Paralympic medal count that was previously set at seven in 1996, in Atlanta. For the road races we will obviously continue targeting performances and results, as we have some medal chances in these events as well, but at this point any podiums will be gravy for us."